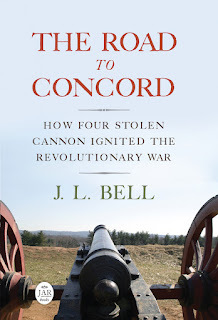 Shorto on Revolution Song in Boston, 30 Nov.
A Visit to Marlborough, 28 Nov.
A “horrid Scheme” on Nantucket? Boles on Jefferson in Boston, 16 Nov.
“He fitted himself with a Pair of Women’s Shoes”? This month the city of Boston announced that it had established a “pattern library” for city websites and applications. One purpose is to ensure that city websites have a common look so citizens recognize them as official and familiar. Another is to cut down on the number of decisions that city employees and contractors must make in setting up a new webpage. Boston’s pattern library is named Fleet. That name also probably has two purposes. One is to signal the speed that it’s supposed to bring to the task of communicating with constituents. The second is to keep alive the memory of Peter Fleet, the enslaved engraver and printer who worked on the Boston Evening-Post and many books and pamphlets in eighteenth-century Boston. In making that announcement, the city linked to this Boston 1775 posting about Peter Fleet. Another piece of news this week: The Old North Church has received a generous “Mars Wrigley Confectionery US, LLC Forrest E. Mars, Jr. Chocolate History Research Grant” to fund new research into the life of Capt. Newark Jackson, owner of a chocolate mill in the North End in the early 1700s, and to share that work with the public in various forms, including a comic. I played a small part in that grant application and look forward to tasting the results.